Berkey Shower Filter Reduces Damage to Hair and Skin by Removing Chlorine, Hydrogen Sulfide, Heavy Metals, and Other Pollutants. People with sensitive skin find some chemicals cause their skin to flare or itch. If any of this sounds familiar, we have the solution. A Berkey shower filter will solve these problems and do so quickly and easily. Berkey shower filter is easy to install and is great for those who want the benefits of showering in filtered water. Simply screw this in between the shower pipe coming from your wall and your existing showerhead, and you’re good to go! Berkey Shower Filter will typically last approximately 25,000 gallons or one year, whichever comes first. 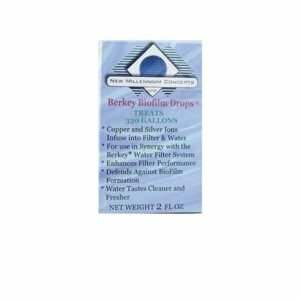 Berkey Shower Filter contains a new and improved shower filtration media, which is most effective in reducing free chlorine, hydrogen sulfide, scale and iron oxide (rust water). 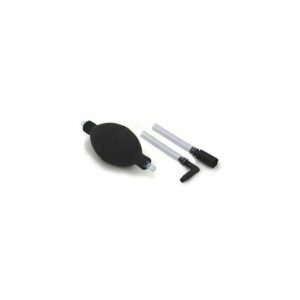 Berkey Shower Filter process media works in a wide range of temperatures with a maximum operating temperature of 120 degrees Fahrenheit. Beyond removing chlorine, Berkey shower filters remove many of the pollutants that can cause skin problems. With the removal of hydrogen sulfide, heavy metals and other chemicals, dry skin and damaging effects on hair and scalp dryness are gone. As you can see, the Berkey is far more than just a chlorine shower filter. Despite this, it is priced at about the same level as other filters, which remove far fewer contaminants. I’m as serious as I can be when I tell anyone reading this that this is clearly one of the absolute best purchases I’ve made in recent memory. We take this travelling with us, so it serves its purpose. 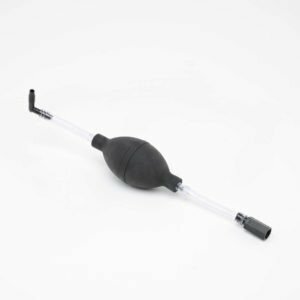 This massager head/filter combo was cheaper than purchasing just the filter, so we purchased this…even if sometimes we don’t use the massage head. They are easy to separate from each other. I ordered this on the advise of my sister-in-law and it has really made a difference for me. We have city water but could always smell chlorine in the shower. With this filter there is no chlorine smell and my skin is more moisturized and my hair is shinier. I would recommend this filter. 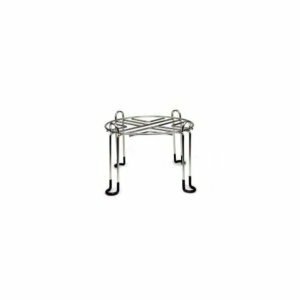 If your shower pipe is really high on the wall, you MIGHT be able to stand under this thing without bending your knees. I am 5″4″ and I cannot get under it without using my shower chair. I am not impressed with the filtering capabilities, the water is not much better with it than without it…and it certainly will not last for 12 months. My shower now runs hot and cold, and it did not do that before installing this filter. I had another brand before this one and did not have that problem. I do not recommend it to anyone. With a brand name like Berkey, this product is a huge disappointment. All I can say on the positive side is, good seller and fast shipping. Immediately noticed an air quality improvement when showering. I used to have difficulty breathing sometimes during showering. I suspected it was due to the chlorine/chloramine in the water. Those problems have subsided since installing this filter. There is no chlorine smell in the air either. I am very pleased! I’m chemically sensitive and staying with my sister near Seattle. Thankfully the water here doesn’t have chloramines, which are harder to remove. The shower here was giving me headaches due to the chlorine. This filter reduced the chlorine dramatically. No more feeling ill after a shower. We are using it in a shower with poor water pressure and it doesn’t seem to have reduced pressure at all. Super satisfied. Really great product. I can really tell the difference in the water quality after installing this filter. There no longer is a chlorine smell and the water feels a lot more fresh. I’ve also noticed that hair dye lasts longer with this shower filter in place (I assume that the lack of chlorine present in the water contributes to this). In addition, hair feels a lot softer than before thanks to this filter. I’ve recommended this to friends & family as I believe that it does make a huge difference. I also own the Berkey Water Filter & love it as well! We love Berkey products! Had to macgyver this one a little, because the shower head was suddenly too top heavy for it to stay in place with the added weight of the filter. Just took a good bit of hemp string to keep it from falling over though. This filter literally changed my life. 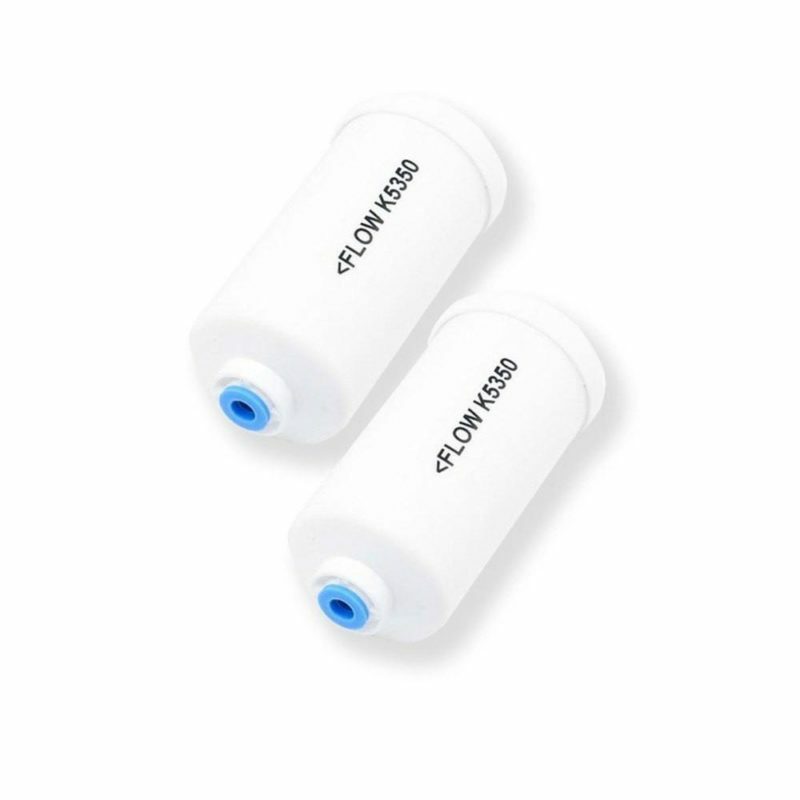 If you are frustrated with cruddy tap water in Los Angeles or any other place with hard tap water, this filter is a miracle worker in filtering out not just chlorine, but hard tap water as well. I recently moved from New York to Los Angeles, and while it might sound like an exaggeration, the hard Los Angeles tap water made my hair dull and crispy, and left my scalp dry and itchy. This was a totally foreign experience for someone who was used to soft, shiny hair after a shower with New York tap water. The tap in my Los Angeles apartment naturally has very hard water, which means that there are minerals that are dissolved into it that make it basic (have a low PH). I learned from doing some online research that low-PH water for some reason makes it difficult for soaps and shampoos to clean and rinse effectively, so my dry hair and itchy scalp were caused by a residue of shampoo that was never getting rinsed off. I am so grateful for this filter. I feel like a human again! By the second shower I took with the filter installed, my hair felt like it was back to New York tap water hair. I love this because I know it is working!!! I use to notice a chlorine smell when I took a shower and as you know chlorine fumes are not good to breathe and chlorine can dry your skin out! After installing this I cannot smell anything at all when I take a shower and feel like my skin and hair are softer. 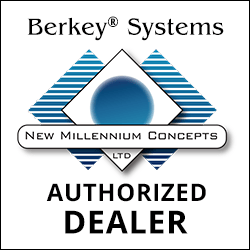 I trust Berkey and own a Berkey water filter as well for my drinking water. Also, my shower stays cleaner longer! It was easy to install between the wall pipe and the shower head and does not have a negative effect in my water pressure. Our city (Romeoville) has loads of added chlorine in our water. If you need filtration of chlorine from your shower or sink, this works great! Our daughter gets hives from chlorine. This unit allows her to shower at home. It still allows some chlorine to get through but she can shower twice a week now. If you need something more than this, it is going to be a whole-house carbon filtration system with water softener. Thankfully, we just had one of those installed so we won’t have to continue to buy these a few times a year. We were very thankful for this little gem. It made our daughter’s life nicer. This filter works great. I saw a few reviews saying that it did not work. Than i saw one person’s pics they posted and it was installed upside down.. then he have it one start review.. some people are really just clueless. Read some directions first. Or contact the company to make sure you have it installed correctly before you go and bad mouth a product.. this filter has always worked great for me with no issues at all. I recently moved to a condo in Arlington. Within a few days of moving in, I noticed that my hair seemed especially dry and porous, no matter what expensive conditioner I used on it. I also noticed that my skin became itchy after showering. I also noticed an intermittent sulfurish or chlorine-ish smell coming from the faucets. I mentioned these things to a neighbor and she said that water in the area is very hard–so hard that you can see sediment in water glasses. After conducting some online research, I determined that my sudden hair and skin problems could probably be attributed to the effects of hard water and that the only solutions were to buy a shower filter or water conditioning system. Since I live in a condo, I could only try a shower filter and this one by Berkey was highly recommended by the same neighbor. After just one wash, I could see the difference in my hair–it became soft once again. After a few days, it was nearly back to its previous condition. My house guest also immediately noticed a difference and she has virgin, untreated, healthy hair–unlike me! If you have hard water and you’ve noticed a negative impact on hair/skin, I strongly recommend trying this filter. You will notice a difference. 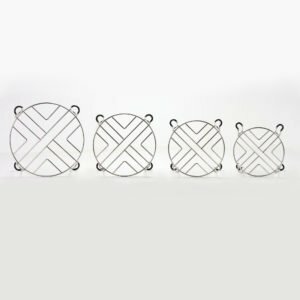 If you bleach, dye or otherwise chemically treat your hair and you have hard water, then you definitely need a filter like this one to remove chlorine–chlorine strips healthy hair and it really damages chemically treated hair. Q I saw an answer that said "when it starts to leach the 'red dye' it's time to change the filter; why couldn't you just clean the filter at this point? A The red dye is only for testing Black Berkey elements. Q Why doesn't the picture show the product number and the flow direction. Are these true Berkey products? A The ones I purchased were! Q Will the filter clog when it is time to replace it? A Ours did not clog. We have pushed ours to a little over a year in the past and no clogs or lack of flow. We've replaced ours three times over the past 4 years. I've read some places that say replace every six months and some that say a year. I replace when I can afford to. A I don’t know the metals but it really helped me with the chlorine smell. Q Does this remove chloramine from the water? A Chloramine is very different from Chlorine. I believe this filter has very little affect on Chloramine; it does, however,filter Chlorine. Q What is the max water pressure PSI for this filter? A According to the Berkey instruction manual for the KDSF shower filter: SHOWER HEAD FLOW SHOULD NOT EXCEED 2.5 GPM AT 60 PSI, TO DO SO WILL REDUCE THE EFFECTIVENESS OF THE BERKEY SHOWER FILTER. 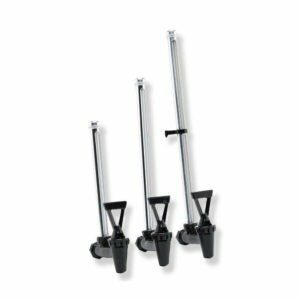 NOTICE OF LIMITATIONS: The Shower Berkey Shower Filter is designed for potable water systems only. Do not allow to freeze, or use with water over 110 F (43 C) temperature. Maximum water pressure should not exceed 100 psi. Do not use in high iron content water systems that use chemicals. Hopefully this will help. Q Is this item BPA free? A According to Berkey, the shower filter canister is made of ABS food grade plastic, which should not have any BPAs in it. Hope that helps! A It's pretty durable. It's certainly strong enough to do the job, no issues with it. For what it's worth and the brand it is, I continue replacing the filters for the benefits. Best shower filter out there. Q I need to take full hot baths daily. Would i take the faucet thing off and attach from there? Or attach from handheld shower head to fill tub? Ideas? A I have mine attached to an handheld shower head. It did not fit my bathtub spigot. Q I'm wondering how long this filter has held up to hard well water? A DO NOT KNOW. ONLY GOT IT FOR CHLORINE. Q Hey Guys I saw that we can attache it to handheld. Does it matter which side is up? I screwed hose in and my shower head and it worked good. A As long as you attached the filter properly it will not matter if you hold the handheld facing up, down or otherwise. The force of the water will keep the filter elements in place. Q Does it come with filter? WHAT FILTER does it take? does it need replacement filter? A All one piece. It's flushable and lasts a while. Q Does it matter if the male end is attached to the water source and the female end to the shower head? A If you have an adapter that will switch it, then it may work. Q Would this work with well water? We have sulfur bacteria (the egg smell) and manganese bacteria in our well water, plus iron. 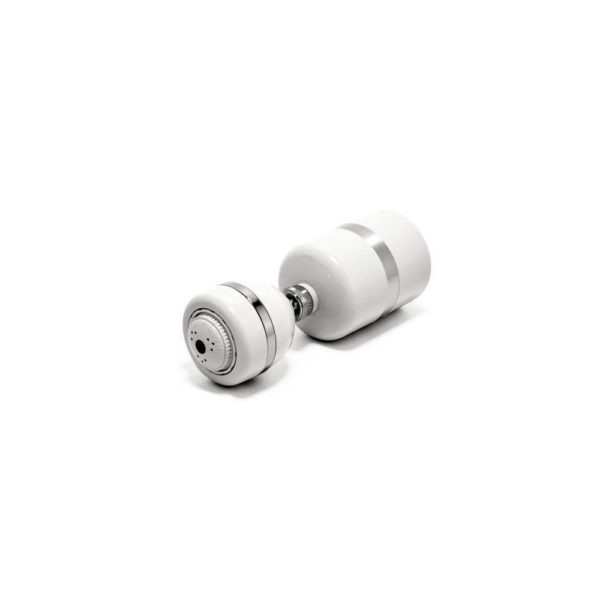 A The shower filter is made to remove free chlorine, hydrogen sulfide, iron and iron oxide from the shower environment. Q This product is for showers, is there something available for baths? A Hello. The manufacturer New Millennium Concepts Ltd doesn't have a bath filter in its product lineup. There is something from others that hang on the faucet. We can't speak to how well they work. Hope this helps! 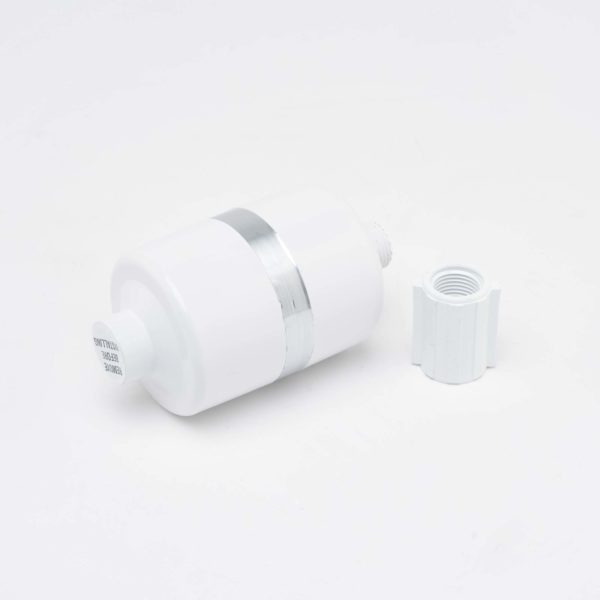 Q Does this filter come with the fitting to flush the shower filter to restore full flow as on the berkeyfilters website? Q Has nothing on it that says "berkey". it says it is a permaseal model sr. and the description above says it is a kdf. what is going on? A We hadn't noticed the lack of branding, but we've been using the filter and it has definitely taken care of the bacteria we had in our water here in the Dominican Republic. Q Tds meter measurement before filter installation 190ppm. after the installation 220ppm. looks like the filter does not work? A This filter does not remove minerals, a TDS monitor does not test for chlorine removal, so it is not a test that should be used for this filter. Q When the water comes out it has a very strong chemical smell......does this go away or do I need to return the filter. A How long have you had it? It may be that your water source has other issues. I have this filter and it performs great. No problems, no odors. Call the manufacturer. Q Up top it says 25,000gal/1yr and in the description it says 10,000gal/1yr. So what is the correct answer? A That definitely is a discrepancy. I've had mine just about a year so I do not have the packaging. I think this company has a web site so that might help. Sorry I couldn't give definitive answer. Q How do I know whether to buy this filter or the one that comes with a massaging shower head? And how do I know whether it will fit my shower? A It depends on if you love your existing showerhead. We bought a handheld showerhead that we love and will not give it up. Q Making sure I didn't receive a fake: does the leaflet have a title of "SHOWER DECHLORINATOR OWNER'S MANUAL"? A Yes! With sketch of shower head / filter below title. Three panels of print....black print on white paper. Q Is this an authentic Berkey shower filter? If so, it wonder why it is significantly cheaper than what the Berkey site sells it for? Disc. Model? A It appears authentic. Plus it connects with no leaks and feels solid. A It was highly recommended to us we live in Flint Michigan it work great for filtering out lead. Q does this fit on any shower head? A Yes Tracy it will fit any shower. Plus it comes w/ an adapter if your shower nozzle from the water pipe is larger. Q How do you know when the filter needs to be changed? A These filters are good for a year or more. I reverse flush mine on the first of every month. The recommendation is every 2 months. You can test your water for chlorine just by buying some very cheap test strips from Lowes or Home Depot. Pool test kits work very well and cost around 20$. Amazon has litmus test strips very easy to use and cost around $8 for 25 tests. Using the reverse flush feature on these filters along with the test strips once a month or so, you can get up to 3 years usage out of one of these filters. Q do i need plumbers tape to prevent leaks?? Q Is there a flow restrictor or something that can be removed to increase flow? A An adapter comes with it. There should be instructions on how to do it. Q Does this item remove fluoride from the water? A No, it does not but it removes chlorine, the chemical they also put in swimming pools. To remove fluoride, one needs a reverse osmosis water system which uses lots and lots of water (forgot ratio but something like 4 quarts to get 1 quart fluoride clear water). Fluoride has few proven benefits (contrary to what they want us to believe) and actually may contribute to thinning bones, etc. so it's a shame it's so hard to get rid of. Hope this helps. Q How long do you back flow water through it when cleaning? A When backflushing let the water run through for several minutes. Q I'm not seeing results yet. my hair is still frizzy and like straw. does it take some time to notice? i'm concerned there are no filters that work. A Have you considered a metabolic cause to your symptoms? Chlorine reduction can be helpful with some skin issues but it's certainly not a cure all for every issue. Q does this filter make you shower head too low that you hit your head on the shower head? A That depends on your height, the height of your current shower spout and if your shower head rotates. The tallest person that uses our shower is 6 ft tall and doesn't have an issue. 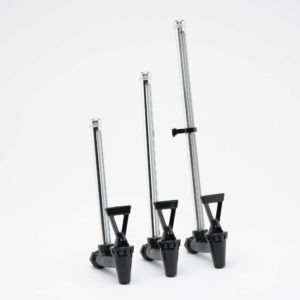 The attachment will add about 3-4 inches to your current spout. 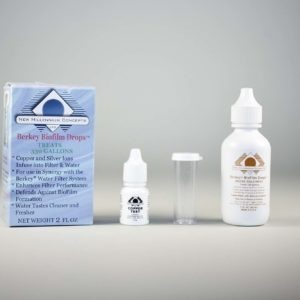 A Hi, sorry to hear you are not having luck with your Berkey filter. Mine worked right away out of the box and I definitely noticed the chlorine smell was gone from my water. It helped my hair a little but nothing drastic but I really didn't have much of a problem with that. Hope that helps. A After installation, it adds about 5 inches to the shower head. Mine is angled, so I stand back, and not right under it. Well worth filtering out the junk our cities put in our water. My shower curtain stays much cleaner, for about 4 months with 2 of us showering twice daily...hope this helps. Q Does this soften the water? OR just remove the chlorine? A It removes chlorine which dries the skin so it feels like the water has been conditioned in some way. It's just the absence of chlorine. Softer skin with lessened or no dryness and itching. Recommended it to a friend recently. She's elderly, has thin dry skin. She too is a convert. Wonderful product. Q do i need plumbers tape with this? A No I have not had a problem with that as a matter of fact I have had no problems of any kind and I've had this over a year now! Q How often does it need to be replaced? Q Does this flter out fluoride? A From my research I learned it does not filter out the majority of fluoride. But int he shower, fluoride does not enter your body because it does not "steam" like chlorine does. If you boil water containing fluoride, the fluoride does not boil out, it justs concentrates in the liquid remaining. Therefore it does not change it's form from a solid to a gas, or in this case, steam. Chorines on the other hand, does. 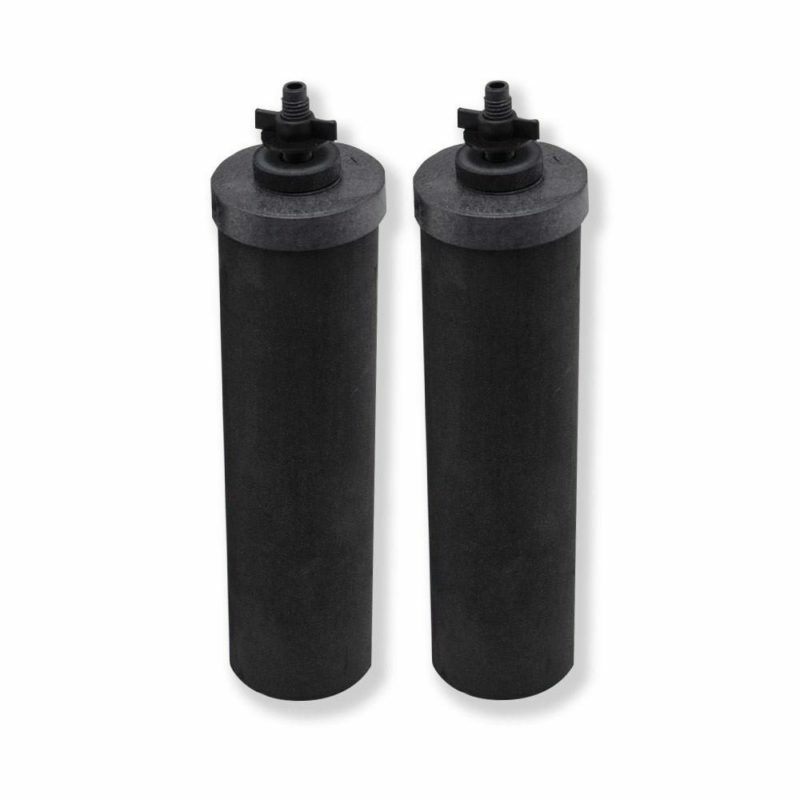 This filter will eliminate the chlorine and other contaminates. Contact your water department to see if they add chlorimines. Chloraminated vapor from showers, baths, hot tubs, dishwashers, and other household appliances contains volatilized chemicals that can be inhaled and cause irritation to the respiratory tract. Chloramine damages mucous membranes. The lung damage in those exposed to chloramine in indoor pool air is similar to that seen in regular smokers. An increase in asthma due to exposure from chloramine in indoor swimming pool areas was shown in a Belgium study from the Catholic University of Louvain so find out if they are putting this dangerous toxic chemical in your water. For more info go to http://www.chloramine.org/chloraminefacts.htm. Q Does this have a replacment filter that can be bought? A This item is a replaceable shower filter, NOT a shower head. Thus, you will buy a new one of these filters every time you want to replace it. They recommend replacing it about once a year. Q Does anyone know if I can attach a handheld shower head with a hose to this filter? A Yeah, you should be able to do that. You'll attach the filter first and then the handheld off the other side of the filter. Unless it weighs too much or something, you should be fine. It's just will extend it out another 6" or so. Q Since our bodies absorb water why can't we use this filter to drink from? What is missing from this filter vs. a filter designed for drinking water? A Of course you can drink this water. It probably doesn’t remove 100% as much of what the berkey carbon filters do, but it’s definitly better than straight tap water. Q Where is this shower filter made? A China. If it isn't clearly stated otherwise the answer is always China.